Venezuela’s economy: Near collapse! $150 billion in hock to other countries with a bolívar (its currency) that’s practically worthless, a nearly 30 percent unemployment rate, and a situation where average Venezuelans can’t afford food or medical care. So of course they’re banking on cryptocurrency to save them. And of course that effort just hit a major bump. On Monday, U.S. President Donald Trump signed an executive order prohibiting Americans from taking part in any transactions involving “any digital currency [issued by, for, or on behalf of the Government of Venezuela]” starting January 9, 2018. That ban includes the controversial petro, the cryptocurrency tied to the value of Venezuela’s crude oil reserves. How Trump plans to ensure citizens don’t use the crypto — which is, by nature, anonymous — isn’t, how shall we say, clear. However, he did give Steven Mnuchin, the U.S. treasury secretary, the authority to create whatever regulations he’ll need to enforce the order. Diosdado Cabello, vice president of Venezuela’s United Socialist Party, responded to Trump’s decision via Twitter (translated from Spanish): “Once again, imperialism is mistaken in announcing sanctions and blocks against the brave and dignified people of Venezuela, the treasonous footmen drool with pleasure when our people suffer. Raise the flags of Bolívar and Chávez, we will prevail!”. August 2017: Trump signs an executive order imposing economic sanctions on Venezuela due, ostensibly, to Venezuela’s government engaging in human rights abuses, corruption, and violence. U.S. citizens are barred from lending Venezuela any money. The order also prohibits “any transaction that evades or avoids” the order. 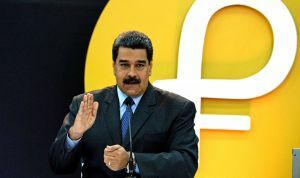 December 2017: Venezuelan President Nicolás Maduro announces the petro. “This will allow us to advance toward new forms of international financing for the economic and social development of our country,” he tells the country during a televised announcement. Little’s done to obscure the fact that this is basically a way to skirt the U.S. sanctions and nail down foreign investments. In fact, the only fiat currency not accepted during the pre-sale is the nation’s own: the bolívar. February 20, 2018: Venezuela launches the private petro presale, during which they supposedly raise $5 billion (a figure that’s still unverified). Still, no doubt at least some U.S. citizens picked up petro during the presale, and now, thanks to Trump’s new executive order, those cryptocoins are little more than digital paperweights. During the pre-sale, 38.4 million tokens were up for grabs. March 20, 2018 (Today): The initial coin offering (ICO) launches, offering up an additional 44 million petro. And U.S. citizens aren’t legally allowed to buy any of them. In other words, Venezuela’s pool of potential fools got a whole lot smaller thanks to Trump. Enter Russia. Sources close to the matter told TIME that Russia helped Venezuela plan the creation of petro to undermine the sanctions. According to TIME, Vladimir Putin himself signed off on the plan in 2017. Maduro then sat two Russian advisers, billionaires Denis Druzhkov and Fyodor Bogorodsky, in the front row during the petro launch in February, thanking them directly for helping in the fight against American “imperialism.” Of course, Russia’s Finance Ministry denied any involvement in the creation of the petro (Venezuelan officials haven’t commented on it). So was Russia’s play simply a matter of undermining American authority? 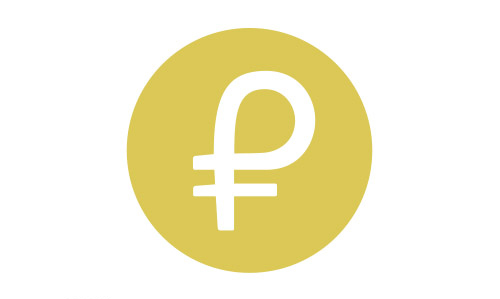 Was the petro Russia’s way of experimenting with a government-backed crypto without actually attaching itself to one? There are plenty of questions to go around over this, but one particularly glaring one stands out. In Trump’s first executive order on Venezuela, he specifically prohibited any transactions designed to avoid the sanctions. Venezuela made it clear when they launched the petro that skirting those sanctions was implicit in its creation. So! If Trump knew about the creation of the petro way back in December, why wait until the end of the pre-sale, after Venezuela could sell off nearly half its petro in a crypto-hot market, to issue an executive order banning U.S. citizens from using it? Stateside, the answer’s gotta be worth something more than a few bolivar, if not some peace of mind (or, depending on what that answer is, a complete lack thereof).